Being a student and fitting in the time between partying, socials and binge watching tv series it can become a little overwhelming when you have two assignments, reading 100+ pages and evaluations all to do within a few days. I am guilty myself of putting off doing things especially when it isn't the most fun and enjoyable thing to do. However, with second-year kicking in, I am determined to keep on track and on schedule.... I put together my list of 8 ways how I am going to stop procrastinating by keeping myself motivated and organised. 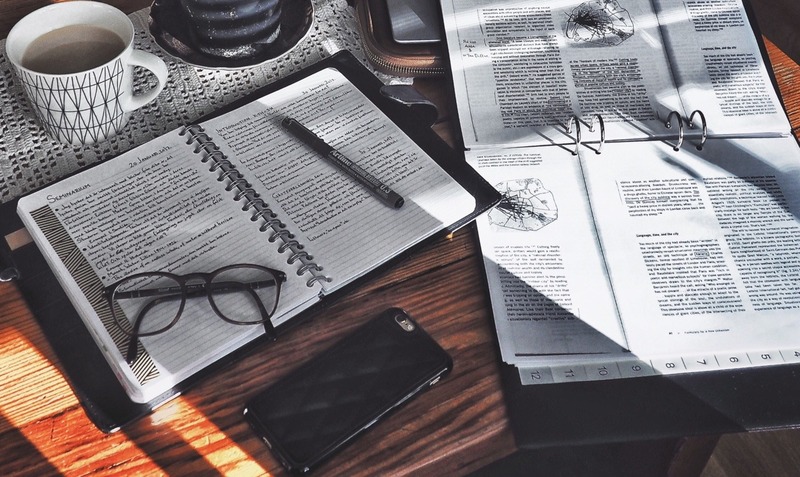 Plan time to study - set aside a few hours a day when you can get your head down, properly do the reading or starting that essay you've been putting off. Eliminate any potential distractions - again easy said than done, but by putting your phone on flight mode or keeping it the other side of the room makes it all a little easier otherwise if you're like me you'll just keep scrolling through Twitter to avoid any responsibility. Set deadlines for yourself - make mini-deadlines for each section or per paragraph and make tick lists to tick the things you do off, and it makes you miles more confident with how productive you are being. Make a plan and stick to it - once you've planned your week and made deadlines to meet... just stick to it, there is honestly no point putting it off or not doing it as you're "busy" watching Netflix. Weekly planners, organisers and diaries are key to make sure you can stick to your plan and make sure you're not over-doing it on one thing. Work when you feel most motivated - pretty much just do the work when you feel more alive and awake and not leaving it till 3am the night before it is all due to be submitted. Don't stress too much - again, a little bit of stress can help stay more motivated and a little bit of pressure doesn't do you any harm but by completing the work when it's needed you'll save yourself a whole loada unnecessary stress!! Get inspired and save time by asking for help - your tutors are there to help as are your friends just as if you get stuck on anything and someone will always have a way to help you see what actually needs to be done. Good luck with killing that procrastination fever!